Tokyo, Japan: It wasn’t until recently that my knowledge of oils was limited to two types: the black stuff that you put into your car and the clear stuff that you put on your frypan. Yes, I know, I was a typical clueless and uninterested guy. Fortunately, starting about fifteen years ago, my younger sister decided to educate me in the use of essential oils. It started out subtly whenever I brought my family from Japan to Texas for summer vacation. My sister, Trish, would always have some kind of fruity or flowery aroma wafting around the house. I’ll admit it smelled a lot nicer than those spray deodorizers for sure. I also found it interesting that the handsoap in the bathroom smelled like Christmas…in the middle of summer, mind you. Despite having many opportunities to sample a variety of essential oils I usually declined, already convinced that they were the tools of witch doctors, hippies…and sisters who were starting to lose touch with reality. One year, before heading back home to Japan, I received some tiny, very expensive, bottles of oils from my sister. Being the polite brother I am, and not wanting to offend my one and only sister, I kindly thanked her knowing that those bottles would just sit on my shelf and collect dust. They would probably still be there today had it not been for a bit of bad luck. Upon my return home I had bitten the inside of my cheek, giving rise to a painful canker sore. I was at home in pain and feeling sorry for myself, desperately digging through the medicine case for an appropriate remedy. After a half hour of fruitless rummaging, I went to the the kitchen to prepare a cup of hot tea and, there on the shelf, saw the bottles of essential oils my sister had given me some time before. 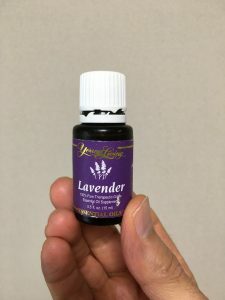 I vaguely recalled her saying something about lavender oil being a good antiseptic or such, so I thought to myself, “What the heck, it’s better than nothing.” I put a few drops of oil on a Q-tip and swabbed it over the affected area and instantly felt relief. I have to admit it was pretty cool, but it wasn’t enough to convince me that essential oils are going to replace modern medicine. Since those early years I have been impressed by the growing number of medical and health professionals who are espousing the qualities of certain essential oils they use in their practices. Maybe it’s about time to admit that my sister was right and there is actually something to essential oils. Just to prove the point that “old dogs can learn new tricks,” I’ve made a resolution to myself to learn more about essential oils for the betterment of my health and that of friends and family around me. Stay tuned as I post more stories in the future.